The last thing we need is having US police intelligence departments tracking down leads from the Russian secret service. Can we stop talking about “connecting dots”? I’m all for investigating and catching terrorists, especially before they do their evil deeds. At the same time, however—as the latest reports about the bombings at the Boston Marathon show—“connecting dots” can often be a euphemism for overly intrusive, civil liberties-violating snooping, spying, and deployment of government and FBI infiltrators, provocateurs, and worse. 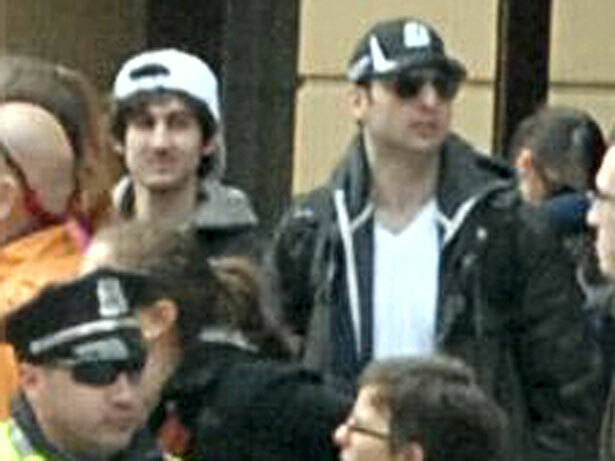 Had [the Boston police department] learned about the tip, in which Russian officials said that Mr. Tsarnaev had embraced radical Islam and intended to travel to Russia to connect with underground groups, “we would certainly look at the individual,” [Police] Commissioner [Edward] Davis told the House Homeland Security Committee. Wow. Let’s unpack that for a second. First of all, since 9/11 there has been a huge and unprecedented expansion of city and state police intelligence units, many of which engage in something close to outright spying. The idea that the Boston police department ought to be shadowing every person who has committed no crime, merely on the basis of tip from the notoriously excessive and unreliable Russian secret service—especially after the FBI, which investigated Tsarnaev and questioned him and his family—is scary. In addition, so far at least, we have no idea just how many potential “terrorists” the Russians have warned us about. It can’t be only the Tsarnaevs. Dozens? Hundreds? No other bombs have gone off since 9/11. Do we want police departments tracking innocent people? We learned over a decade ago the danger of failing to connect the dots. My fear is that the Boston bombers may have succeeded because our system failed. Maybe, but the fact is that we don’t want to live in a country where we have 100-percent effectiveness against terrorism, because that would be a police state. Third, let’s stop talking about close cooperation with the Russian secret police. I don’t trust Russia’s oppressive secret services one bit, certainly far less than I trust the FBI and the CIA, and that isn’t very much. It is true that Moscow is battling an incipient Islamist revolt in the Caucasus region of southern Russia, in Chechnya, Dagestan and elsewhere. However, their version of how to fight that insurgency is akin to Bashar al-Assad’s version, namely, kill anything that moves. And in many ways, the insurgency in southern Russia, to the extent that it has migrated from nationalism and separatism to some version of radical Islamism a la Al Qaeda, is Russia’s doing. But engaging in ethnic cleaning and destruction of whole cities and towns in Chechnya and elsewhere since 1994, the Boris Yeltsin and Vladimir Putin did a lot to create the vary radicalism that Putin is now fighting. Let’s give the FBI credit, perhaps, for trying to distinguish between a real tip from the Russians and a spurious one. The fact that neither the FBI nor the Department of Homeland Security notified the local members of the Joint Terrorism Task Force is really a serious and aggravating omission. Mr. Tsarnaev … got a cool reception from some of the Islamists he hoped to bond with. … While Mr. Tsarnaev did find a circle of friends, some congregants at the Salafist mosque dismissed him as strange. Others said they feared his brashness would attract even more attention to them from Russian authorities. On Sunday agents from the Federal Security Service [FSB], the successor to the Soviet-era KGB, interrogated Mr. Tsarnaev’s cousin, who is in police custody, asking if he impressed the young man with “extremist” views, his lawyer said. Meanwhile, the Russian security services apparently killed several of the people that Tsarnaev had contact with. Whether they were actual terrorists or just radical Islamists with anti-Moscow (and anti-Washington, perhaps) views can’t be known. Like those killed by American drones, who are often mere radicals who may or may not hate the United States, those killed by the Russians may or may not be guilty of anything other than crossing the FSB. So, yes, let’s collect and connect the dots. Just not every dot, everywhere, all the time. Rather than help the Russians track people who have committed to crime, we should engage with them on finding a diplomatic solution to the Syrian conflict, Robert Dreyfuss writes.